Dr. Mattison is an associate professor of medicine within the division of hematology/oncology at the University of Wisconsin School of Medicine and Public Health, Madison, WI. He earned his medical degree at the University of Iowa Carver College of Medicine, Iowa City, IA. He completed his residency at University of North Carolina Hospitals, Chapel Hill, NC and his fellowship at the University of Chicago Hospitals, Chicago, IL. 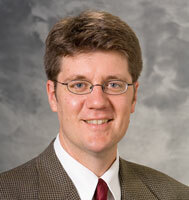 Dr. Mattison is board-certified in internal medicine, medical oncology and hematology.